The Johann Patroclus Möller Organ in the former Benedictine Abbey in Marienmünster (NRW) was built from 1736-38 by Johann Patroclus Möller. After more than two years of intensive work, taking specialised knowledge and comprehensive analysis into consideration, it has now been restored to its original condition and was heard for the first time in November 2012 at a concert in honour of this occasion. 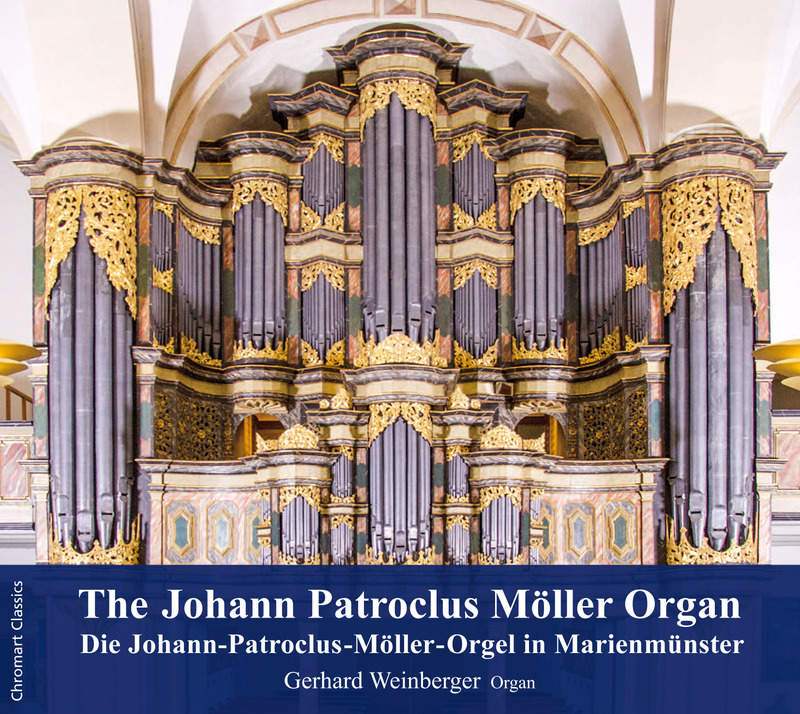 This recording, played by Gerhard Weinberger, who has long been familiar with the organ, is the first to have been made with the restored instrument. Two of Johann Sebastian Bach's important free works form a framework for this CD: the Toccata and Fugue in D minor (Dorian) BWV 538, and the well-known Passacaglia in C minor BWV 582. The remaining programme of music by Johann Sebastian Bach, Carl Philipp Emanuel Bach and Heinrich Nicolaus Gerber, which includes arrangements for organ, demonstrates the instrument's wide range of possibilities and impressive sonority - with just 42+2 registers on three manuals + pedal and 2.748 organ pipes - and is played by Weinberger with brilliant musical finesse!